H746-SH Security style holster rides slightly muzzle forward and gives you three points of retention. The thumb break over the hammer, middle finger release at the trigger guard and the security blocks which retain the weapon until the gun is rocked forward and a natural draw is executed. 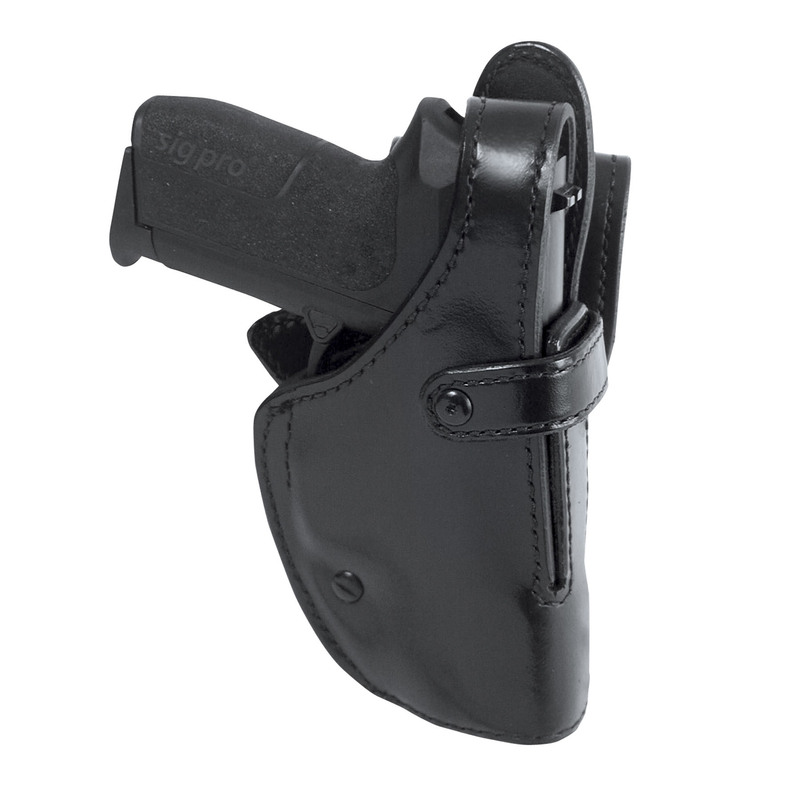 This holster is leather lined and has a polyethylene layer to add strength. Has a open bottom, partially closed front, has a metal reinforced belt loop bent to contour with the hip and a belt tension screw. This design requires practice, it is suggested you become familiar with this holster to make a smooth and timely draw.